Anybody got any good projects going? I don't have anything interesting going right now, but I'm always amazed at the creative group we have here. Anybody got any cool projects going to inspire us with? 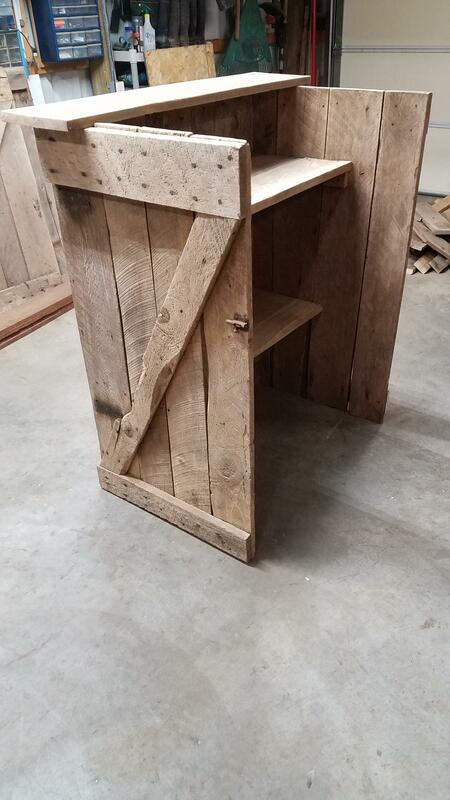 Fixin to start on a small pigeon loft. Come to think of it, I just spent an hour digging out the ditch the highway was supposed to replace six years ago so it doesn't back up and erode what's left of my driveway. Maybe that counts. At home I have a bush to cut back and a rear end to install in my tahoe. I've always got some projects in the works. Here are a few from the last week or two. 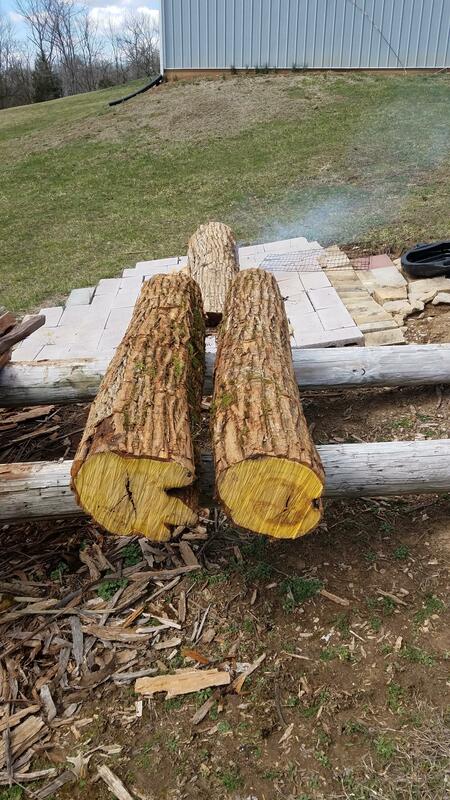 I've been cutting more osage logs whenever it's dry enough. 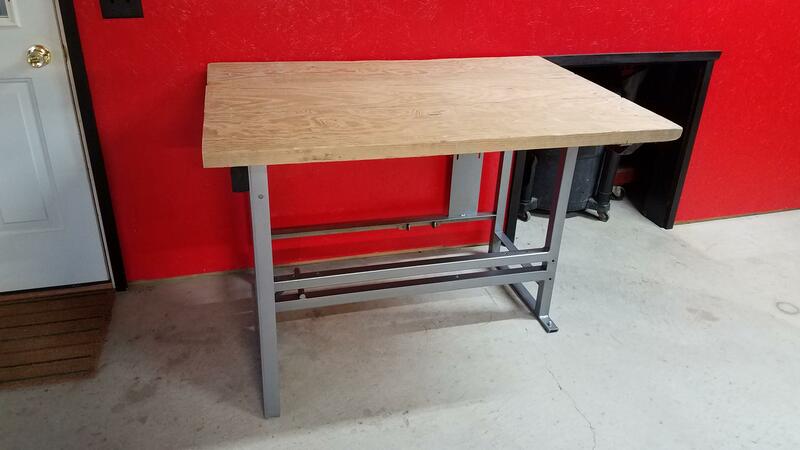 I converted a heavy duty base from a large industrial sewing machine into a work bench. 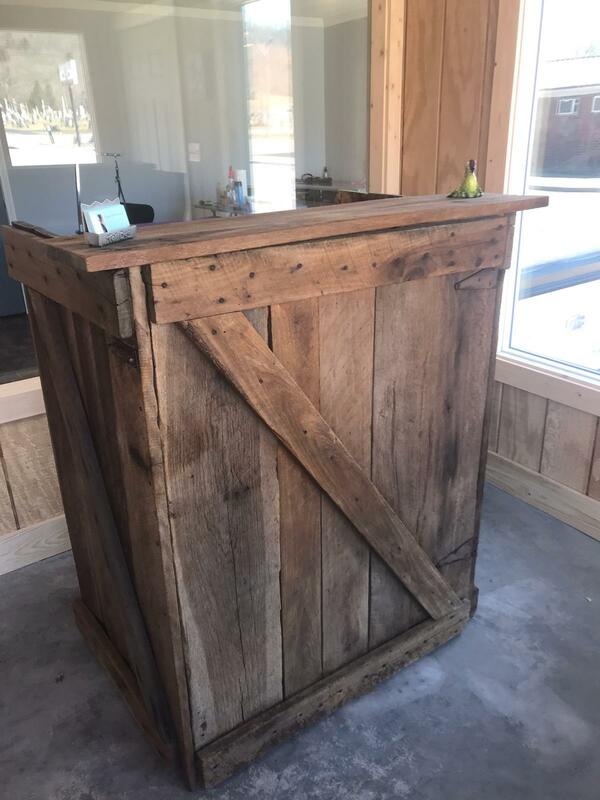 I made a stand up reception desk for my wife's small business. She wanted it made of barn wood. Yesterday I decided to reclaim the path around the tiny pond in our woods. 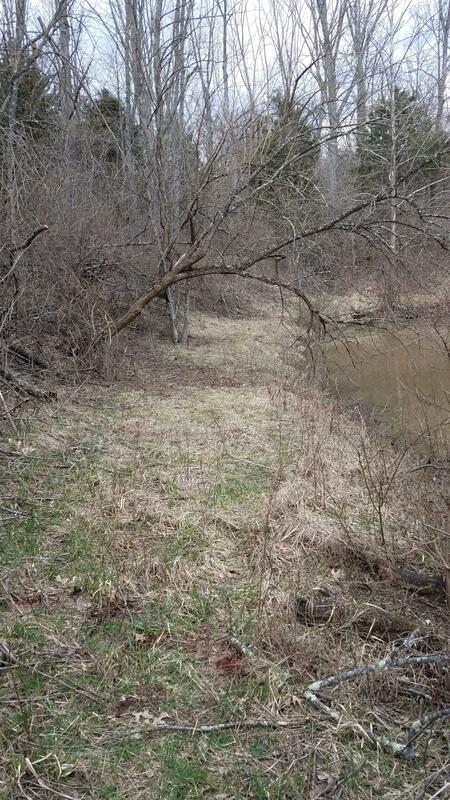 Here is a before picture of the dam. 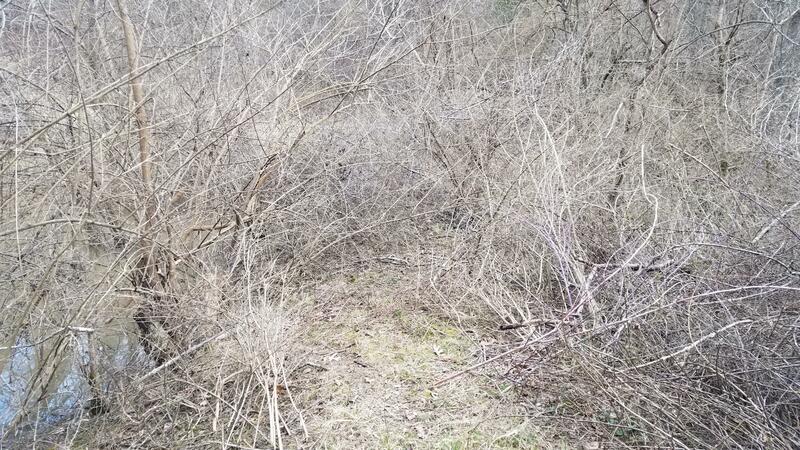 The deer couldn't even get through it. It was mostly wild rose. Nasty stuff. Here is an after picture. 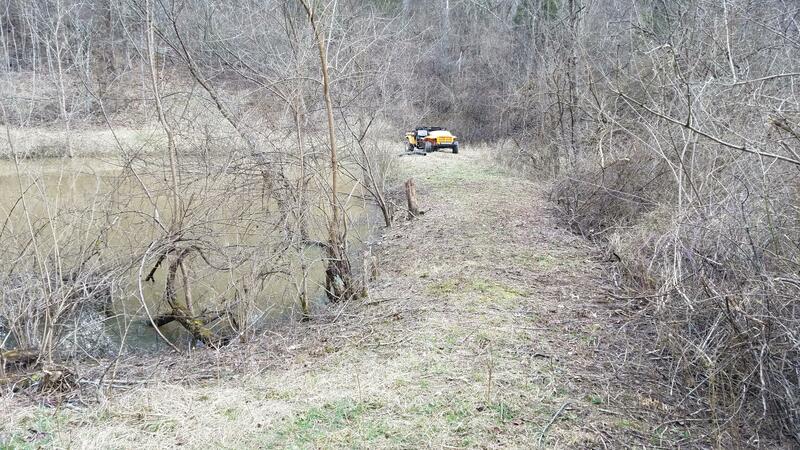 I still need to cut the rest of the brush and trees in the water. The other side of the pond was completely blocked by thorns and a fallen tree. I didn't get a before picture. Here it is after I was done. I can drive around it now. I have a redneck version of a horseback target range. I pull them slowly past a row of targets while they shoot at them from sitting on the barrel. It's a lot of fun. Lots of "plans"....we will see how many become a reality! Knowing my luck I'll be lucky to plant my spring plots on time! Concrete barn floor. 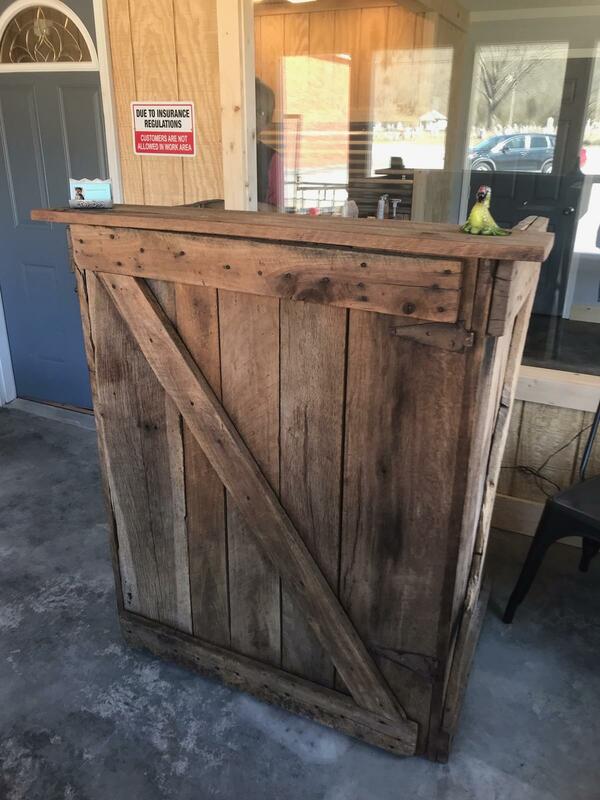 Build loft, beer brew area and wood shop. I get my 1st package of bees this weekend. Busy all summer starting my new company. Called Mack Bees. Goes with Mack Hops my other small company. So Mack B&B. Never ending until I'm 6 feet under. Building and or creating is my way to relax. Somewhere I'll fit in some fishing g and then hunting. Forgot, I need to rebuild my outdoor steps. Torn down for the new water line project. Finishing up final grade this weekend. Crazy I know. I have a pinewood derby car to create. Bought two Ford Ranger pick up truck beds full of vintage chainsaws( I counted around 60) a while back that I need to start digging through. I have got 4 of them restored and running that I sold to pay for the entire lot of them. Mostly old Macs and Homelites and David Bradley's. "Poster child for "good" manners"
"Lazy dirt bag "crossgun" user"
"4 star General of the Orange Army"
The wheels are turning on making a waste oil burner to heat the house. Already using it in the garage, and its working good. 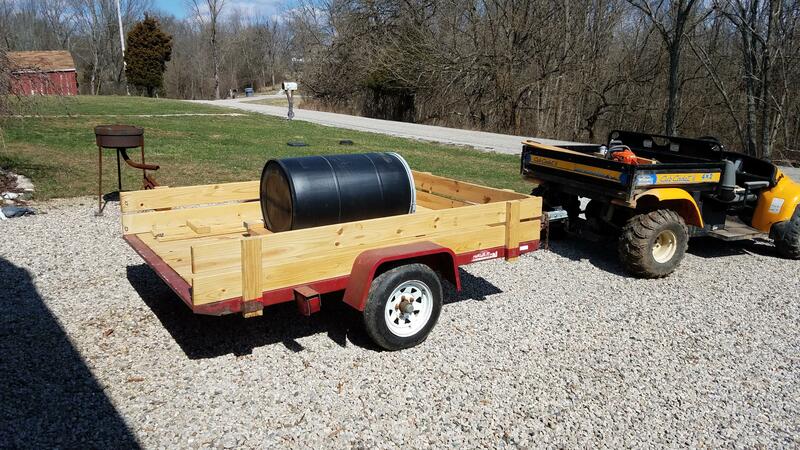 I have a 300gal oil tank in the basement with outside fill pipe. Also got a chimney connection already, so half the hard part is done. Might make a sidekick stove and pipe it in to the furnace plenum. Ive been working on changing out my workbench/cabinets in the garage. 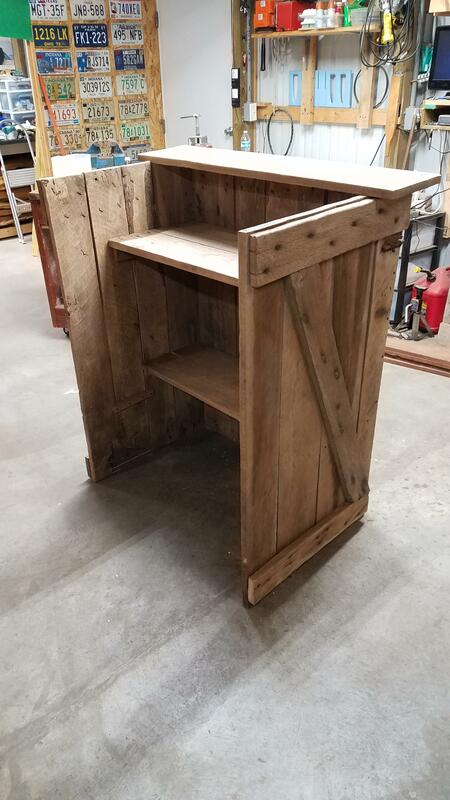 I come across a good deal on some Vinmar cabinets, my son and I made the bench top for it out of 2x4's. Its been a long project Ill post pics later too much for me to list. Pump and water lines to another coil in your furnace. Going to take the back seats out of my CR-V and convert it into a microcamper--basically a sleeping platform with room for storage underneath. One panel of the bed platform will remove so that my Ruff Tuff kennel can slip in there whenever the birddog is with me. Adding a trailer hitch and hitch carrier to the options. When I am out rock climbing, camping, etc. I will use the roof mounted luggage rack. When I am hauling the kayak around on the roof, I'll use the hitch carrier for gear. 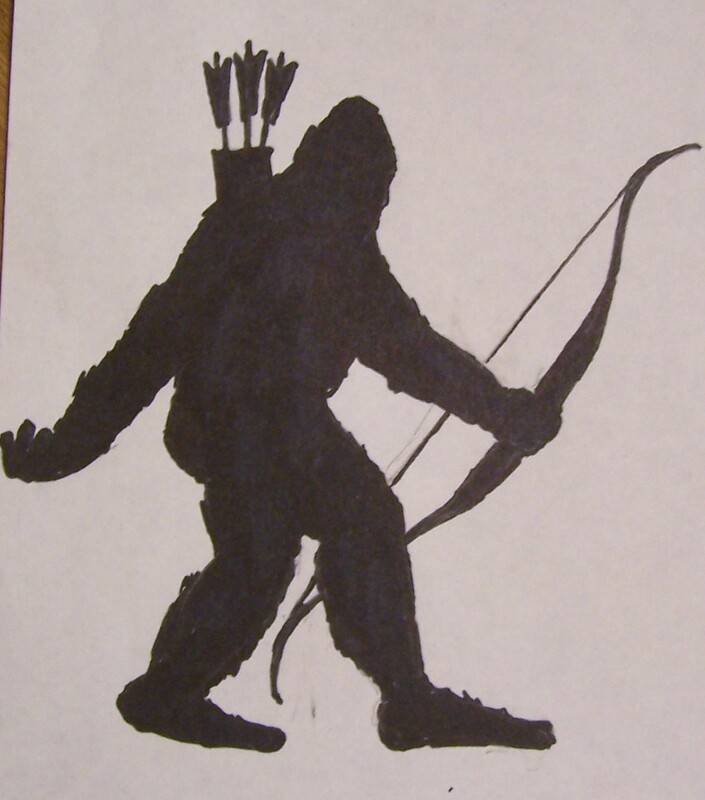 Hunting, Fishing. thats all you need. You guys are making me tired just reading all of these plans. Yep, I am feeling good making coffee and packing my lunch every day! I built my own wood boiler in 2006. Just copied the plans, down to the heat exchanger coil. Worked outstanding. Bad deal was 20 cords of big wood every year. Didnt take long to kill my back. Sold it all off, now looking for easy method.